Does your family need a five-star general at the helm? A psychologist? A referee? 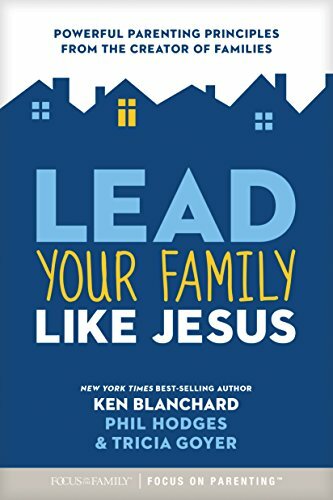 Ken Blanchard, best-selling co-author of The One Minute Manager and Lead Like Jesus, points to a better role model: the Son of God. Joined by veteran parents and authors Phil Hodges and Tricia Goyer, renowned business mentor Blanchard shows how every family member benefits when parents take the reins as servant-leaders. Moms and dads will see themselves in a whole new light—as life-changers who get their example, strength, and joy from following Jesus at home. This user-friendly book’s practical principles and personal stories mark the path to a truly Christ-centered family, where integrity, love, grace, self-sacrifice, and forgiveness make all the difference. Download the fun Lead Your Family Like Jesus Activity sheet.